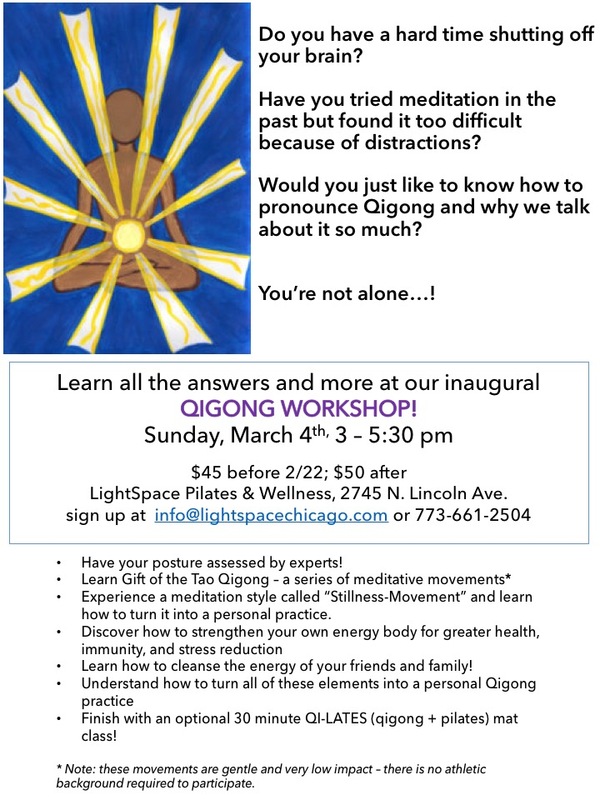 February 22, 2018 in cool stuff, energy, studio news by LightSpace Pilates & Wellness, LTD.
Today is your last chance to take advantage of the EARLY BIRD DISCOUNT for our March 4th Qigong workshop! Tomorrow the price goes up to $50. Only two spots left……sign up today! RE-CHARGE opportunity every Saturday at LightSpace! 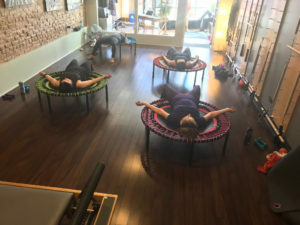 February 12, 2018 in cool stuff, energy, pilates, studio news by LightSpace Pilates & Wellness, LTD. Anxious to get your own RE-CHARGE underway in the new year? Join Priscilla every Saturday from 10 am – noon for an informal version of our popular “un-bootcamp” workshop, which always ends with a closing meditation…as pictured here! Announcing our first Introduction to Qigong workshop – Sunday, March 4th! 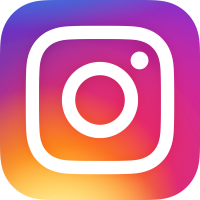 February 7, 2018 in cool stuff, energy, pilates, studio news by LightSpace Pilates & Wellness, LTD.
Do you have a hard time shutting off your brain? 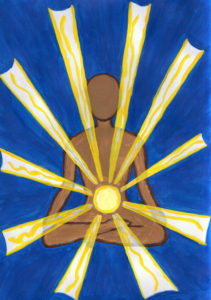 Have you tried meditation in the past but found it too difficult because you get distracted quickly? Would you just like to know how to pronounce Qigong and why we talk about it so much?